Cellulose is the most important and naturally abundant organic biopolymer in the biosphere. It is the basic structural component of plant cell walls. Cellulose based materials have been utilized by our society as engineering materials for thousands of years and their use continues today as verified by the enormity of the worldwide industries. In recent decades, the conversion of renewable lignocellulosic biomass and natural biopolymers into chemicals, liquid fuels and feed supplements has gained considerable attention. In addition, the gradual depletion of petroleum resources, the lack of space for landfills, concerns over emissions during incineration, and environmental pollution caused due to accumulation of these non-destructible solid wastes has spurred efforts to develop high performance materials which are eco-friendly and sustainable. 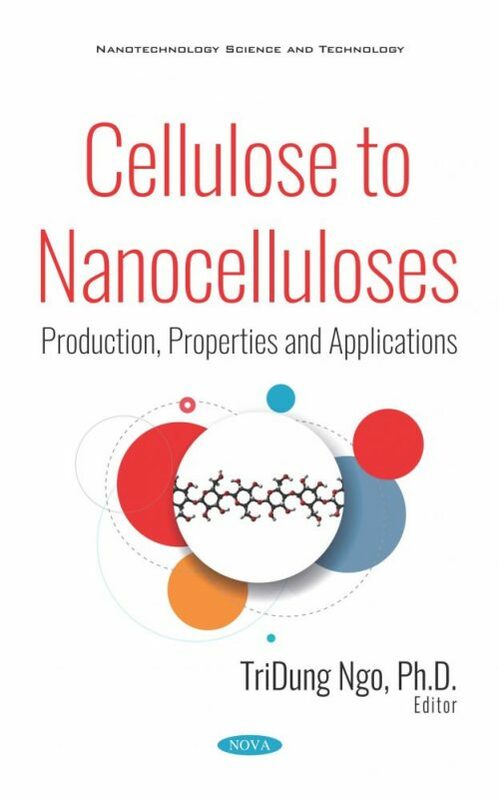 Keeping in mind the advantages of the bio-based materials from cellulose, this volume, edited by Tri-Dung (T.-D.) Ngo, includes cellulose from the micro- (cellulose fiber) to nanoscale (nanocellulose). This book focuses on the chemistry, production, properties and applications of the cellulose materials in various areas. From the view of sustainable development, the new materials associated with cellulose bio-renewable sources are enormously being addressed. In addition, nanotechnology is a rapidly evolving area of development, as science, engineering and technology have merged to bring nanoscale materials much closer to reality. The book also summarizes the recent developments made in the area of advanced bio-nanomaterials, chemical functionalization of celluloses from the micro- to nanoscale, and their processing and successful utilization for selected applications. A number of critical issues and suggestions for future work are discussed, underscoring the roles of researchers for the efficient development of advanced bio-nanomaterials through value addition to enhance their use.